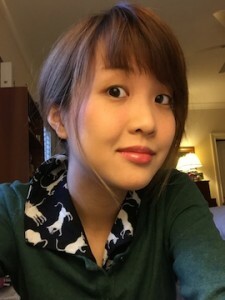 Uncanny Mini Interview with Year Two Contributor Alyssa Wong! Alyssa Wong is a 2013 graduate of the Clarion Writers’ Workshop. Her fiction has appeared in The Magazine of Fantasy & Science Fiction, Strange Horizons, Black Static, and Tor.com. Her story “The Fisher Queen” was nominated for the Nebula, Shirley Jackson, and World Fantasy Awards. Her poem “For the Gardener’s Daughter” appears in Uncanny Magazine #4. 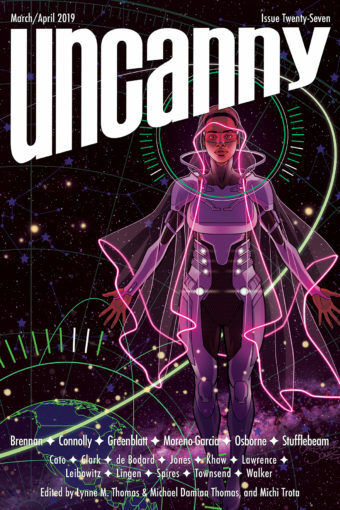 You can support the Uncanny Magazine Year Two Kickstarter here. 1) Your Nebula Award nominated story, “The Fisher Queen,” uses a lot of elements common in folk and fairy tales. Are there any particular folk tales or fairy tales that you’ve found inspiring? There’s a Filipino folk tale about a lazy girl named Pina whose mother accidentally turns her into a pineapple. I always liked that one because it felt like something my own mom might do in a moment of exasperation. I’ve loved fairy tales since I was little. When I was growing up, my favorite was “Little Red Riding Hood,” because I wanted to marry a wolf (this was a poor idea). My current favorites are “The Twelve Brothers and The Snow Queen”; both are about girls who embark on quests and who have to make intense personal sacrifices to complete them. 2) You’ve spoken before about your enthusiasm for fanfiction. How do you think fanfiction affects readers’ and creators’ relationship with the original source material? I like fanfiction because it’s a way for fans to connect deeply with the source material and explore that connection in ways that aren’t given a lot of screen time in canon. Maybe you’re really into the xenobiology on a certain planet and you want to write about how that works. Maybe it’s the relationship between two, or three, or more characters that you want to focus on. I love that fanfiction gives fans and creators the opportunity to pick up underutilized threads in the source material and extrapolate those ideas into something new. 3) What is the most uncanny thing that’s ever happened to you? Catch me in person sometime and I’ll tell you the story of Faceless Ghost Grandma. Other than that, my life hasn’t been terribly uncanny.